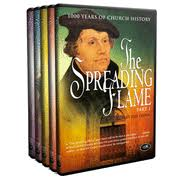 In 'The Spreading Flame' your heart will be thrilled at the mighty exploits of God's faithful people, and at how His providence has overruled in the affairs of men and nations that the truth of the Gospel should never be extinguished. This great 5 volume collection is a great addition to your DVD library! At the dawn of the second millennium, almost complete darkness had enveloped the religious world. New Testament Christianity had all but disappeared under a cloud of superstition, ceremony, half-truth and error. Out of this spiritual darkness would a light known as- THE REFORMATION. Comes The Dawn introduces the key figures and the cultural context that set the stage for the Protestant Reformation. 81 minutes. 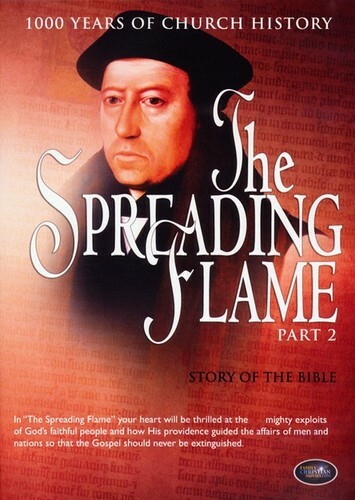 The second volume of The Spreading Flame , traces the story of the English Bible. From the first efforts of John Wycliffe to the ultimate success of William Tyndale, whose New Testament transformed England and whose diligent work in the face of opposition, persecution and ultimate martyrdom, laid the foundation for the Bible we have today. 79 minutes. 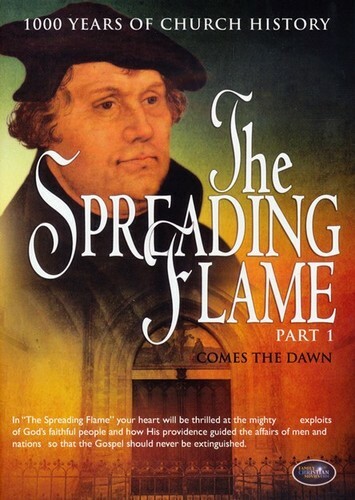 Part three of The Spreading Flame turns its focus first to Scotland and then to Switzerland, where many of those taking part in the reformation experienced persecution and even martyrdom. 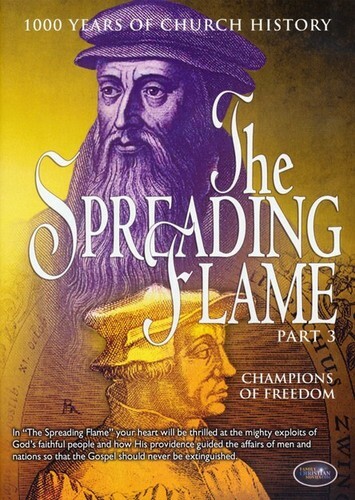 John Knox, the Scottish reformer and Ulrich Zwingly, the Swiss predecessor to John Calvin are profiled extensively in this third volume of The Spreading Flame as their stories weave together in the larger drama of the Reformation. 61 minutes. Winds of Change shows the changes and events that played out in Switzerland as society was transformed by the gospel through the ministries of Ulrich Zwingly and later by John Calvin. 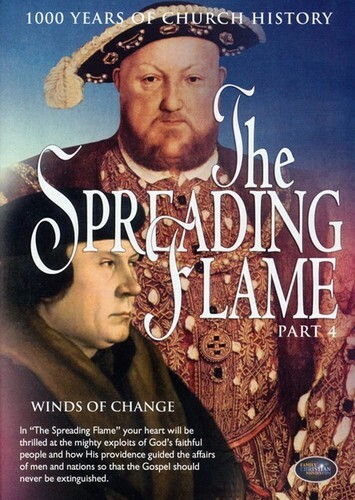 The 1500s were also a tumultuous time in England, as a rift developed between King Henry VIII and Rome which led to the English Reformation and the forming of the Church of England. 55 minutes. 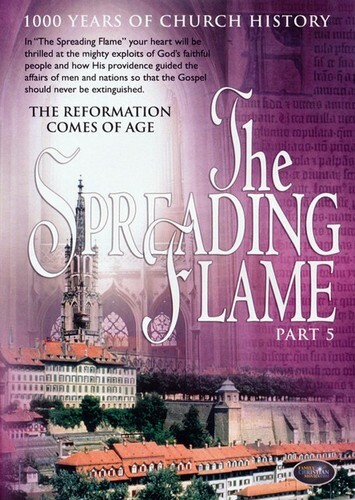 The fifth and final episode of The Spreading Flame focuses on the life and ministry of John Calvin and Geneva, the capital of reformed thinking in the 16th century and on the progression of the Reformation in England following the death of Henry VIII. Witness the Gospel advance and withdraw and advance again and be reminded of God s eternal word and his promise to build the Church. 65 minutes.